This PSD Mockup features a romantic evening scene setting the mood for a glass of wine and a good book. The paperback book is set over photorealistic scene, the scene itself cannot be modified. 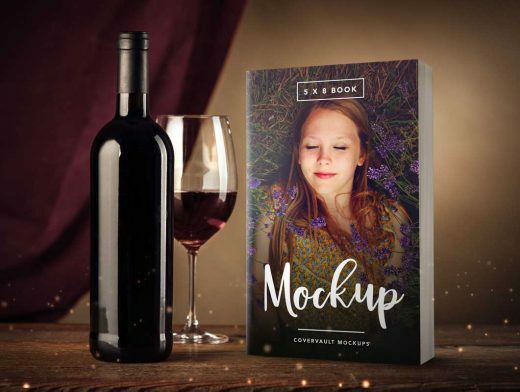 There is no Smart Object for the bottle in this mockup, but any supplied artwork will instantly be applied to the standing portrait mode book.